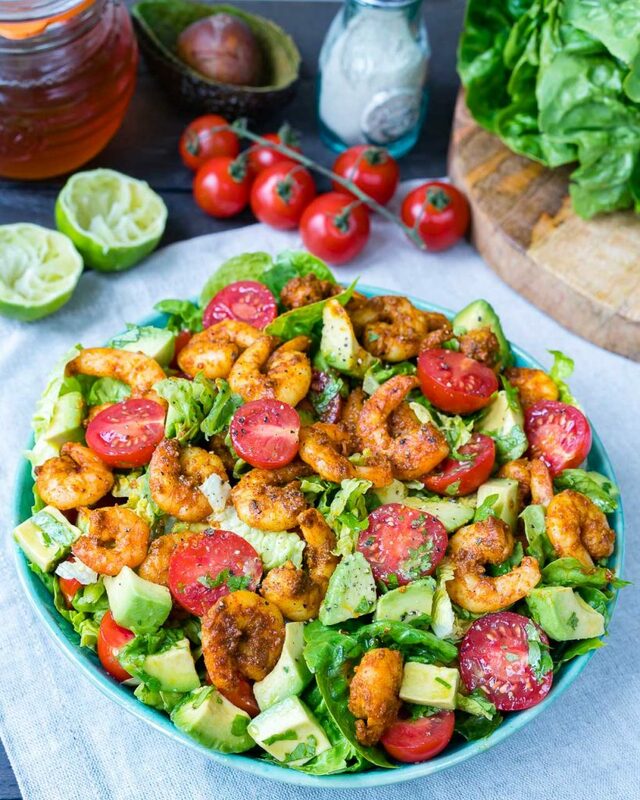 Shrimp + Avocado Taco Salad – Try this Immediately! Combine the dressing ingredients in a food processor or blender and process until smooth. 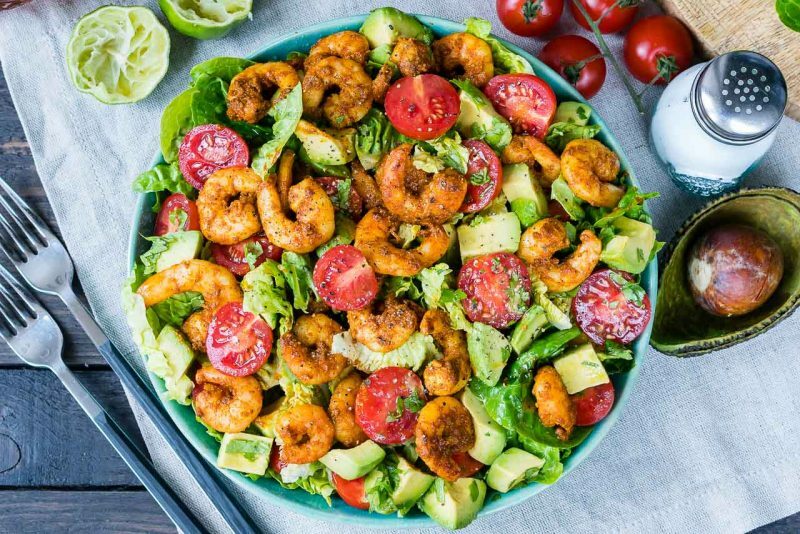 Place shrimp in a plastic bag, or glass bowl, then add 3 Tablespoons of the dressing and marinate in the refrigerator for just 10 minutes (no longer.) Reserve remaining, untouched dressing for the salad. Heat a skillet over med-high heat, and spray it with avocado, or olive oil. 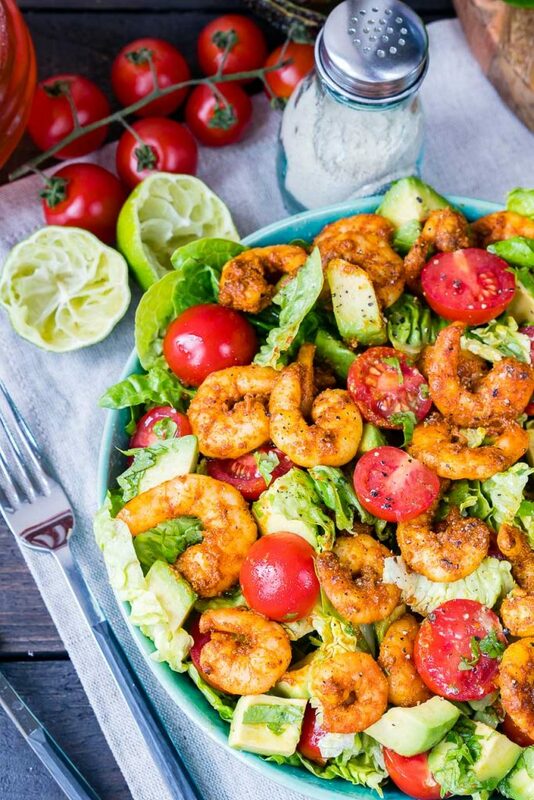 Sauté the shrimp in two batches to avoid overcrowding the pan, for 1-2 minutes a side, or until just barely cooked through and pink. 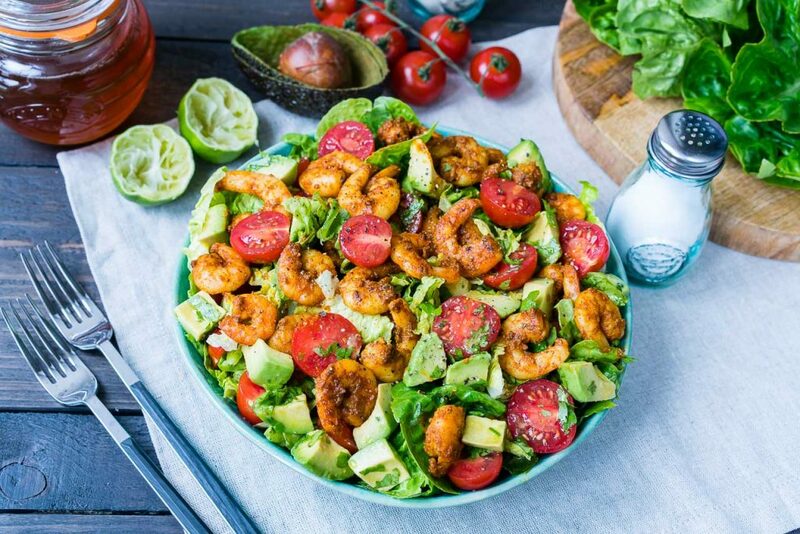 Divide lettuce between plates and top it with avocado, tomatoes and shrimp. 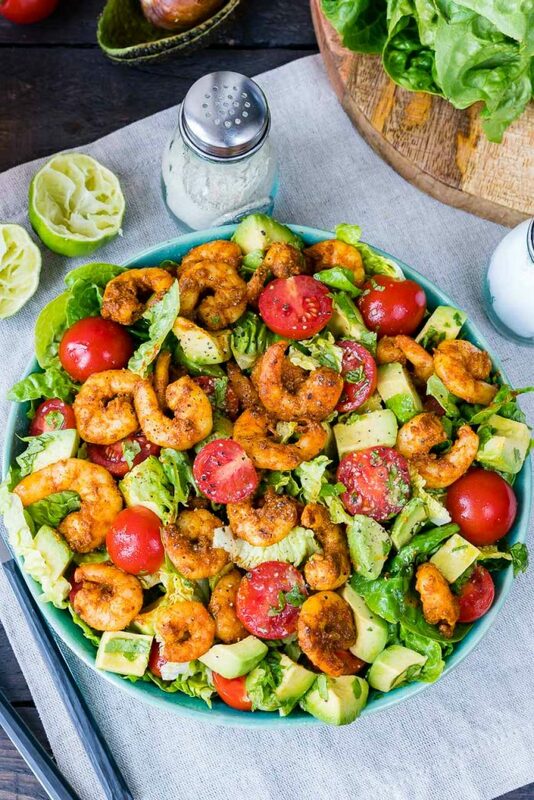 Sprinkle with sea salt and the drizzle the remained dressing. 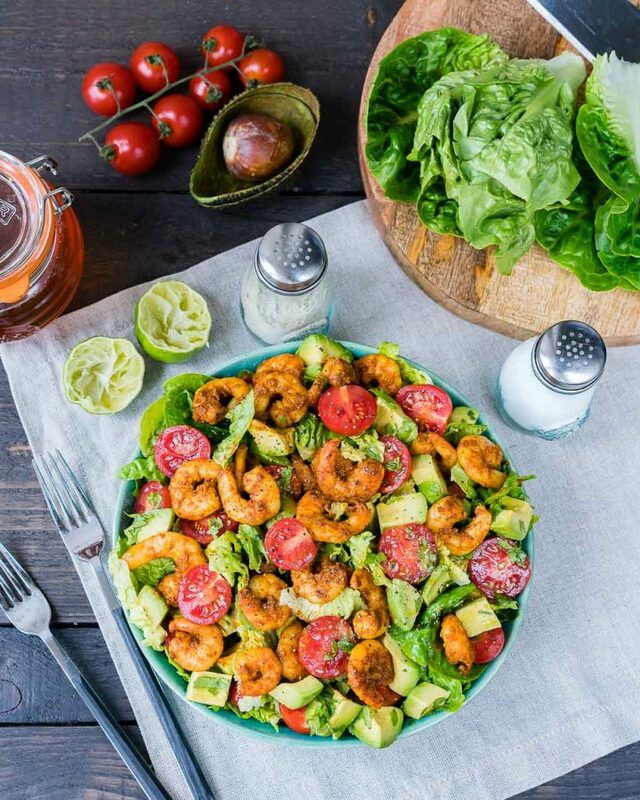 Mix the salad and serve immediately. barely cooked through and pink.